Hip Baby Blog: Hip Baby Victoria: business as usual! Hip Baby Victoria: business as usual! 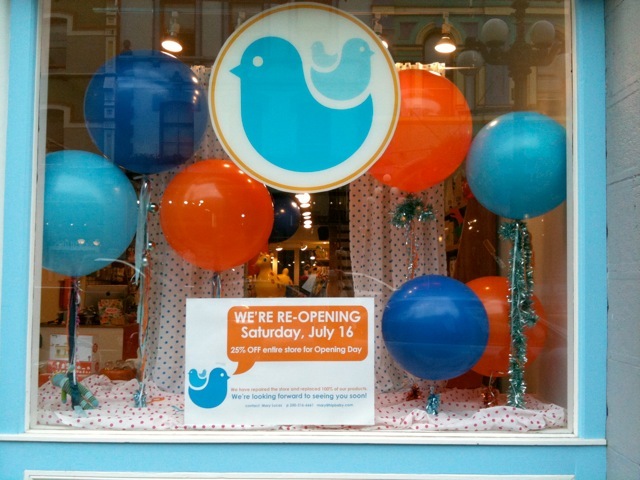 It's been a long three months for Hip Baby - Victoria - but as of Saturday July 16th, we are back! Although the store was closed for over 12 weeks, Mary was busy behind the scenes receiving all the new stock and preparing it for the eventual re-opening. And all the staff also waited patiently and have now returned to work at the store. "After three long months, I couldn't wait to open the doors and welcome all our friends. And even with the rainy weather on Saturday, so many families showed up to say hello." Mary said. "The response to our situation has been unbelievably generous, and we are so grateful for the support we received from our customers, friends, family, and fellow business owners in our neighbourhood." Then Mary added: "The days of fire and smoke are now behind us and we look forward to a terrific summer!" Hip Baby is back and better than ever and ready to serve Victoria with smart choices for your kids from Newborn to 6 years old. And we, of course, still have our change table and nursing area available to local moms and dads.